There is adventure in each chapter as they encounter monsters of the deep, fishing nets, and unkind dolphins. 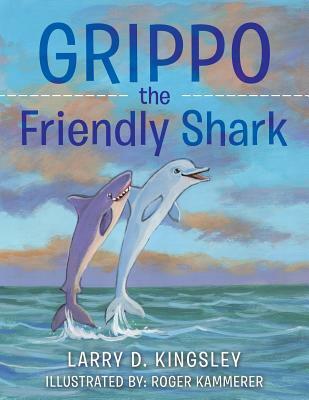 Danny wants Grippo to become a member of his pod, but he is considered "different" and an enemy of dolphins, so Grippo has to prove he a different kind of shark...a friendly shark. It is well-illustrated and consists of twelve chapters. The theme that runs through out the book is we can become friends with someone different if we just try. Larry D. Kingsley has been writing short stories for about fifteen years. Many of his stories revolve around his boyhood days living on a farm in Northern New York. Grippo is his first published book. Numerous stories have been included in his hometown newsletter. He is a member of the OLLI writers group NCSU.